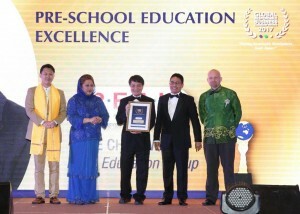 As R.E.A.L Education Group began the month of March with a bang by picking up the prestigious BrandLaureate Awards, the Group ended it in similarly victorious fashion by bagging yet another accolade – the Global Responsible Business Leadership Awards for ‘Preschool Education Excellence’. Receiving this maiden award for the first time, it was night of REAL celebration during the gala dinner held on 30 March 2017 at [email protected] in Bangsar South, Kuala Lumpur. Accepting the award on behalf of R.E.A.L was Group Director, Mr. Kee Keok Kuay, who went onstage to receive the coveted trophy from royal guest of honour, Yang Amat Mulia Tengku Muhaini Binti Sultan Haji Ahmad Shah, the Princess of Pahang. Other recipients of the award include AirAsia, Great Eastern Life, Petronas, Axiata and LimKokWing University. Organized by the Asia Pacific CSR Council and supported by United Nations Global Compact (UNGC), the award recognizes leaders in both CSR and corporate sustainability leadership; giving winners a competitive advantage while serving as benchmarks and exemplar of sustainable business practices to other organizations. It also builds on the ‘United Nations Sustainable Development Goals’ which are held in high regard by the private sector. These goals include Quality Education, Gender Equality and Good Jobs & Economic Growth, among others. UNGC encourages and facilitates the progress of companies that are committed to aligning their operations and strategies with UNGC’s 10 universally-accepted principles in areas such as human rights and the environment. The Asia Pacific CSR Council meanwhile, was formed to advance UN’s Sustainable Development Goals. The council defines Corporate Responsibility as a company’s belief that the true measure of its wealth is directly linked to efforts to better its employees and the communities in which it does business. While many companies’ CSR efforts started with a focus on society welfare, this is only one aspect of CSR. 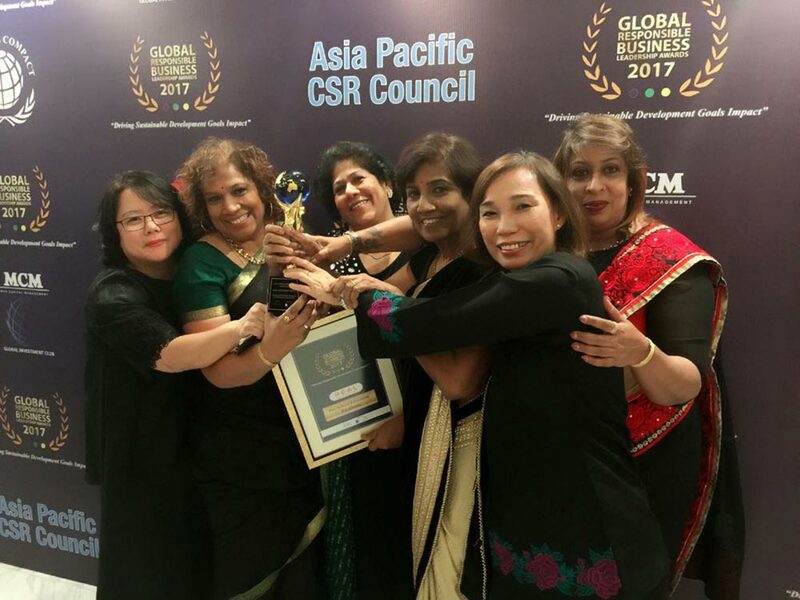 In similar vein as the awards’ theme of ‘Driving Sustainable Development Goals Impact’, let us continue to drive R.E.A.L towards having a holistic approach towards CSR that embodies the key areas of Diversity & inclusion, Environmental Sustainability, Governance, Organizational Health and Philanthropy.